One of the great things about having an RV is the ability to get up and go on an adventure at the drop of a hat. That said, in order to do this, you really need to be able to pack efficiently. This means always being prepared, knowing exactly what you need, and learning a few packing tips to help you out. Fortunately for you, we are RV packing experts. 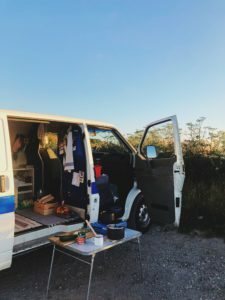 In this article we are going to tackle the ins and outs of packing for your next RV trip in the quickest way possible. Having two sets of things like dishes, towels, and cleaning supplies—and leaving one set in the RV at all times—will make packing before each trip a whole lot easier. Of course, you can also leave the typical RV supplies in your rig year-round. There are some things you can’t leave in your RV. For instance, you will probably need to pack clothes before each trip. Keeping a list of what you should be putting in your suitcase each time can be enormously helpful. A checklist for food can also be made to help improve your packing efficiency. 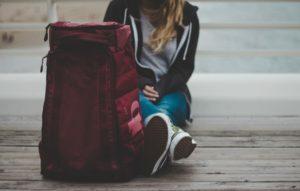 If you will be packing a suitcase regularly, it is helpful to know the best way to pack a suitcase. We really like this video which shows you the ideal way to pack in an organized and efficient manner. Will you be renting an RV to go on your last-minute trip? If so, you obviously can’t keep your RV pre-stocked with most items. That said, there are many RV owners that will stock their rigs before renting them out for a fee. If you’re in a hurry, be sure to ask about this service. Keeping everything in your RV well organized will help you quickly and easily make sure you have everything on your RV packing list. This means having a specific spot for everything and storing things in the outdoor bays in clearly labeled boxes. Will you be packing everything up for the first time? If so, keep all items in labeled bins which are categorized by room. This will make the “moving in” process go much more smoothly, and by storing things in reusable bins, you’ll make “moving out” just as efficient. 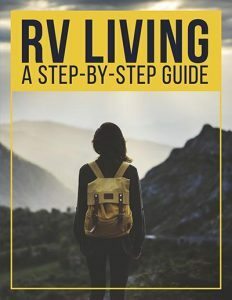 One of the most important parts of “moving in” is knowing exactly how to pack an RV. While organizing and finding places for all of your supplies, keep in mind that you will need to distribute the weight of your things evenly across the camper. This ensures no one area is bearing the majority of the weight, something that can cause your rig to go out of control (among other things). Besides making sure the weight of your items is evenly distributed, you’ll also need to keep the cargo capacity of your RV—and your tow vehicle, if applicable—in mind. In many cases, this means packing lighter than you might have if no weight restrictions were imposed. In order to pack light you’ll want to avoid unnecessary items such as bulky toys and one-use kitchen appliances. Stick to multi-functional, small, and lightweight items whenever possible and only bring the most essential things on your RV trip packing list. If you are still pushing the weight limit even after cutting back on what you’ll bring, consider traveling with empty water tanks. Water is heavy, and you can usually fill the fresh tank once you arrive at your destination if need be. Wondering what to pack for an RV trip? Our RV packing checklist will help you get an idea of what you really need and what you really should leave behind. Of course, this packing list for RV camping is a general outline. It may be slightly different for you and that’s okay. Pack what you need, leave what you don’t, and get out there and have an adventure!